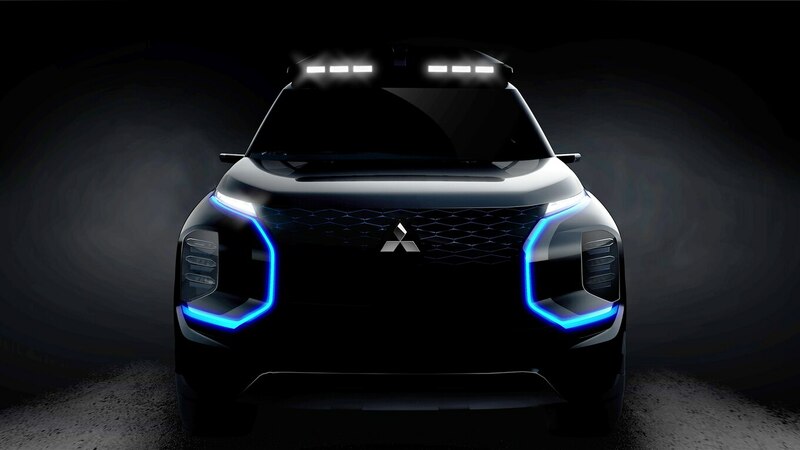 When the Geneva Motor Show kicks off in March, keep an eye out for Mitsubishi. The Japanese automaker announced today that it plans to show off a new concept in Switzerland. Called the Engelberg Tourer, the concept appears to have been designed with winter adventure in mind. After all, it’s named after an Alpine resort town. 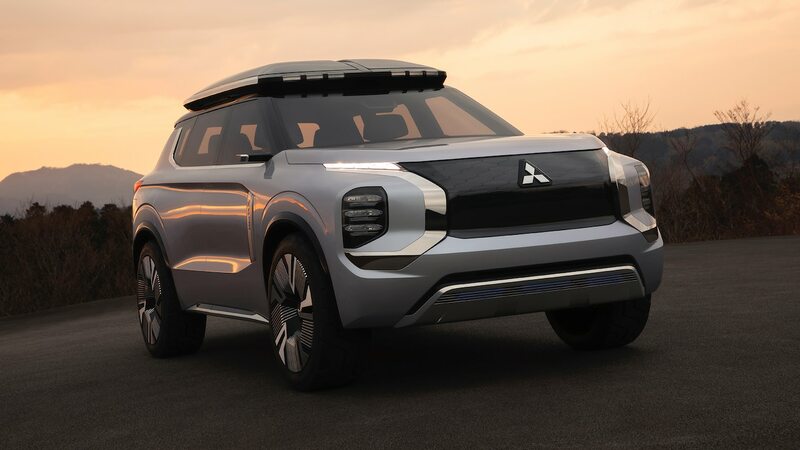 We can’t see much in the shadowy teaser, but the styling appears to be an evolution of Mitsubishi’s current design language. You get a large grille, slim headlights, and angular sheetmetal. Large C-shaped daytime running lights surrounding stacked foglights add a little character, but we also can’t help thinking they make the car look a little like a squirrel with its cheeks stuffed full of nuts. And since this is a cold-weather EV, it’s got to have roof-mounted lighting, as well. Currently, it isn’t clear whether the Mitsubishi Engelberg Tourer will enter production, but we’d be willing to bet it actually previews the next-generation Outlander. Then again, it could also become its own model if Mitsubishi decides to keep it electric-only. Hopefully, more information becomes available over the next month, but if not, the official reveal is set for March 5.